We are a young and dynamic production company. We shoot independent music videos. We are on the look out for new and undiscovered music video and promo Directors and self-shooting Directors. Various freelance projects. You will feature on our new site which will be launched early June. 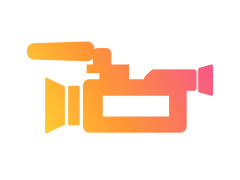 Our clients will have the option to view your reel and choose you as the Director for their project. This is an excellent opportunity for anyone who hopes to gain more exposure. Knowledgeable within production from start to end. Preferably with own camera kit. Payment from £100.00 per shoot. Showreel and any work featured on our website in order to showcase your work for future jobs will be for credited to you. Please forward links to your showreel with a brief description about yourself. Must be ready to launch with our website by May.